The claims made in lawsuits – and the need to verify or disprove them – sometimes spark interesting research. The Acoustical Society of America’s Fall 2017 meeting included a report titled, “Sound pressures generated by exploding eggs”. Investigators Anthony Nash and Lauren von Blohn began this research thanks to a lawsuit: A restaurant had hard-boiled an egg and then re-heated it in a microwave before serving it. When the customer bit into the egg, it exploded with enough force and heat to cause burns and, importantly for this research, possible hearing loss. 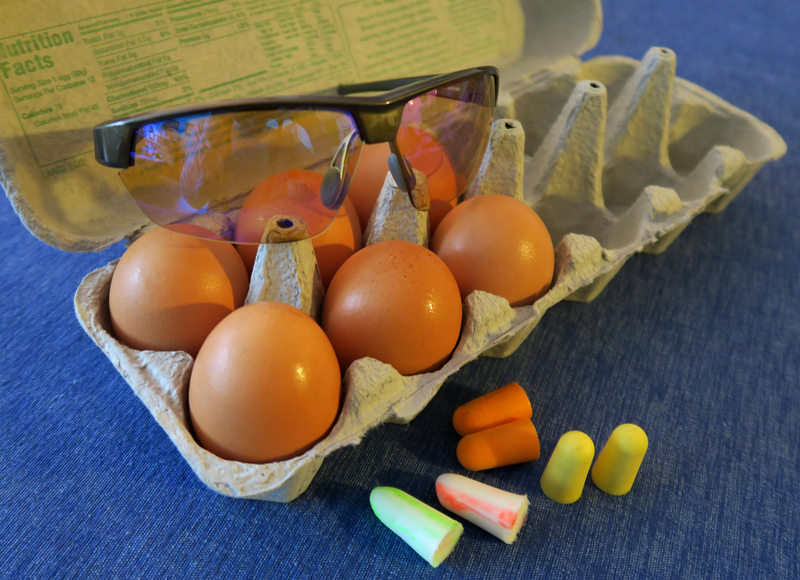 Most claims of hearing damage come from noise experienced over a sustained period of time – longer than the milliseconds of an egg explosion – but in this case, the offending egg was considerably closer than 300 millimeters away when it exploded. Nash and von Blohn began a second round of research to study the possible effects of an “in-mouth explosion”. The lawsuit was settled out of court, but the research it sparked remains for any future court cases. HEARING BONUS: The Centers for Disease Control and Prevention (CDC) have articles on the sonic dangers of Vuvuzelas and also of being a NASCAR driver or pit crew member. The CDC has declared October to be National Protect Your Hearing Month. EGG BONUS: Cooked egg-white is white because the heat has changed how its proteins are folded. The 2015 Ig Nobel Prize for Chemistry was awarded for inventing a chemical recipe to partially un-boil an egg. COURTROOM BONUS: Another example of a lawsuit whose premise required original research received the 2009 Ig Nobel Prize for investigating whether it is better to be smashed over the head with a full bottle of beer or with an empty bottle. Posted by David Kessler on Wednesday, December 13th, 2017 at 9:30 am under Arts and Science, Ig Nobel, Improbable Investigators, Research News.